On Wednesday, the Dow concluded up for a second consecutive day, led by a leap in financials because positive quarterly outcomes from Wall Street financial institutions backed investor optimism on gains. As a matter of fact, the Dow Jones Industrial Average headed north by 0.59%. The S&P 500 ascended by 0.19%, the Nasdaq Composite surged by 0.15%. 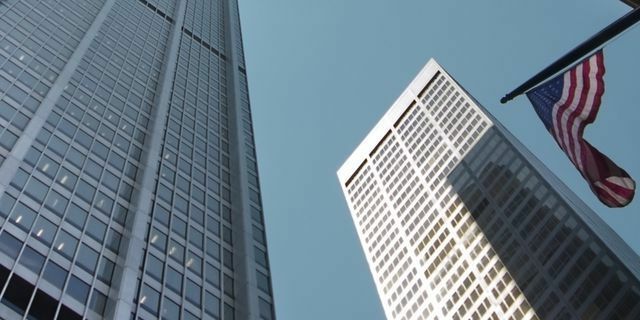 Bank of America along with Goldman Sachs delivered fourth quarter outcomes that beat on both the top as well as bottom lines, pushing their stocks up by respectively 7.2% and 9.6%. Financials were also backed by an ascend in BlackRock Inc notwithstanding earning, which fell short of forecasts. As for financials, they tacked on by 2.20% because the sector keeps clawback losses of 15% for the last year. Additionally, United Continental’s better-than anticipated profits, posted on Tuesday after markets were unavailable, pushed its equities more than 6% up. As for American Airlines Group as well as Southwest Airlines, they also concluded the trading session up. The dismal backdrop for retailers kept affecting performance, with stocks of Nordstrom heading south by 4.7% after it posted soft same-store sales surge on full price merchandise, backing a downgrade from buy to neutral for Goldman Sachs. Goldman Sachs told that Nordstrom’s pre-announced holiday sales actually confirmed a marked slowdown in the full-price business, referring to dismal store traffic as a concern, as it showed up in a period where the consumer is enough strong and where news from other mall-based retailers on traffic has appeared to be more mixed. The mostly bullish earnings as well as stable guidance have helped the broader market to extend profits, although a Fed’s Beige Book disclosed that businesses are starting to perceive the pressure of soaring input costs that could compress margin. Bank of America, United Continental, and Goldman Sachs appeared to be among the top S&P 500 performers for the trading session. Philadelphia Fed better than expectations - new orders index 21.3 versus 13.3 - employment index 9.6 versus 19.1 - prices paid index 32.7 versus 38.9 - prices received 24.8 versus 29.0 The Philly index is a welcome surprise. The NY and Richmond Fed index both showed unexpected declines. The indes is also still above the 0 line. That is the good news. Bitcoin has stuck again: the digital currency has been trading sideways since the last Friday between $3,566 and $3,790 levels. The highly anticipated Ethereum’s update Constantinople failed to create additional volatility to the crypto market due to its postponement. The reason for that delay was a potential security vulnerability in the Ethereum’s chain. For now, the grandfather of cryptocurrencies has been trading below the 50 MA on the H4 chart. If bulls manage to push bitcoin up, the price will retest the resistance at $3,720. If it’s broken, the next resistance is placed at $3,746. In case of a bearish pressure, bitcoin will fall to the support at $3,685. The next support is at $3,660. 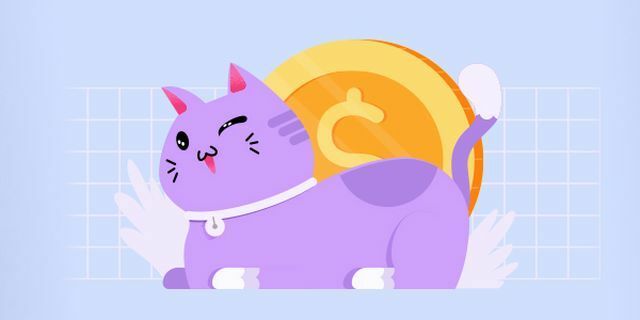 The popular New Zealand crypto trading platform Cryptopia was hacked on Tuesday. According to news, the platform suffered significant losses. The president of Venezuela Nicolás Maduro raised the price of the national crypto El Petro from 9 to 36 thousand bolivars. In addition, he gave orders to sell 15% of the exported oil for El Petro. It’s uncertain, which countries it will be sold to, though. Chevron and Total oil companies joined Vakt blockchain platform to trade energy resources. Vlad Zamfir, an Ethereum developer and one of the main creators of the Casper protocol will cooperate with the Casper Labs start-up, which develops a separate blockchain using this protocol. Blocksteam presented the API beta-version of its own project Satellite. It will help to send bitcoins to any part of the world through satellites. Malaysian government officials are still undecided on whether or not they will legalize cryptocurrency. The matter is still under consideration, which is frustrating those looking to seize the moment to help the Malaysian cryptocurrency industry grow. U don’t want to know what I think about Bitcon. Great Britain’s average earnings index 3m/y – (Tue, 11:30 MT (9:30 GMT) time) – Despite the Brexit headlines, economic data for Great Britain may also affect the GBP. We anticipate the level to increase by 3.3% in November. If the indicator outperforms the expectations, the GBP will rise. BOJ monetary policy statement and monetary policy statement – (Wed, tentative) – the Japanese central bank will keep its interest rate unchanged, but the Japanese governor Haruhiko Kuroda could announce lower forecasts for inflation due to the economic slowdown. Canada’s retail sales and core retail sales – (Wed, 15:30 MT (13:30 GMT) time) – The level of headline retail sales declined by 0.3%, while the level of core retail sales remained at the same level. The expected figures are going to be announced prior to the date. If the actual data is higher than them, the CAD will get positive momentum. ECB press conference – (Thu, 15:30 MT (13:30 GMT) time) – According to analysts, the first rate hike will be no earlier than in September and might be pushed back due to the signs of economic slowdown. However, the comments by the European central bank president Mario Draghi may shake the euro. His hawkish tone will push the currency up. On the other hand, if he is cautious, the euro will go down. The trade negotiations between the US and China have stuck for now, as the sides made little progress on the intellectual property rights issue. The further talks are scheduled to continue at the end of January in the US. Donald Trump and senior Democrats took their first steps toward a compromise deal on immigration and border security. However, it is still unclear if the sides come to an agreement, as Democrats want the government to open first. It’s worth to mention that Trump offered 3 years of deportation relief for some immigrants in return for $5.7 billion for border walls on Saturday. Democrats rejected this offer before the speech by the US president. We will keep you the further progress of the deal. More on Brexit: Theresa May returns to Parliament to explain her next steps. Earlier, she told the Cabinet she’ll try to get her deal through Parliament with votes of Conservatives and her Northern Ireland allies. In addition, the German Chancellor Angela Merkel said she would support the British prime minister. On Tuesday, the evergreen buck managed to stabilize in Asia because the International Monetary Fund had its 2019 as well as 2020 global surge forecasts cut overnight. The IMF currently projects a 3.5% surge rate worldwide for this year and also 3.6% for next year. Eventually, these are 0.2% and also 0.1% below its previous estimates in October. The fund cited a “no deal” Brexit, China-US trade clashes, a resumed tightening of financial conditions as well as a deeper-than-expected deceleration in China as the major reasons for the downgrade. The news showed up several hours after on Monday China posted its slowest quarterly economic surge since the financial meltdown. 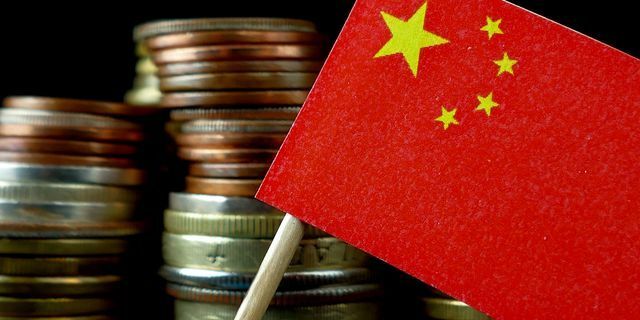 The Chinese economy managed to ascend by 6.4% in the fourth quarter of the previous year from 2017, as anticipated. The surge appeared to be slower than the previous quarter’s outcome of 6.5%. For last year the full-year surge accounted for 6.6%, which turns out to be in line with expectations. On Tuesday, the USD index rallied by 0.1% being worth 96.058. Market participants are also waiting for further news on the US-China trade clash, as Chinese Vice Premier Liu He is braced for visiting America on January 30 and 31 for another round of trade negotiations. As a matter of fact, the Japanese yen headed north. The currency pair USD/JPY went down by 0.2% being worth 109.43. The Chinese Yuan rallied by 0.2% showing 6.8022 because China’s major financial institution had the Yuan reference rate set at 6.7854 in contrast with yesterday’s outcome of 6.7774. As experts at Morgan Stanley told, they’d turned bullish on China’s currency due to the fact they were assured that China’s major bank would stay away from intervening during trade negotiations. The currency pairs AUD/USD and NZD/USD went down by respectively 0.3% and 0.1%. On Wednesday, the Japanese yen headed south versus its major peers. 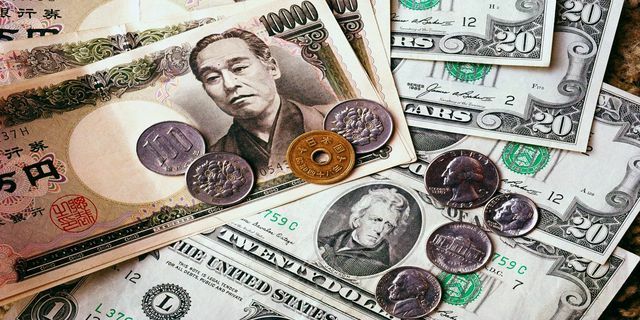 On Wednesday, the Japanese yen headed south versus its major peers because investor risk appetite improved during Asia trade, although worries over decelerating global surge and US-China trade clashes will probably cap gains in risky assets. As a matter of fact, the Japanese yen dived by 0.25% against the US currency ending up with a reading of 109.62. Versus the Australian currency, it slipped by 0.5%. As anticipated, the Bank of Japan kept monetary policy intact and reduced its inflation estimate, with a greater-than-anticipated dive in December export data earlier in the day giving an emphasis to the necessity for continued support for the Japanese trade-reliant economy. Moreover, the Australian dollar headed north by 0.2% against the evergreen buck reaching $0.7137. 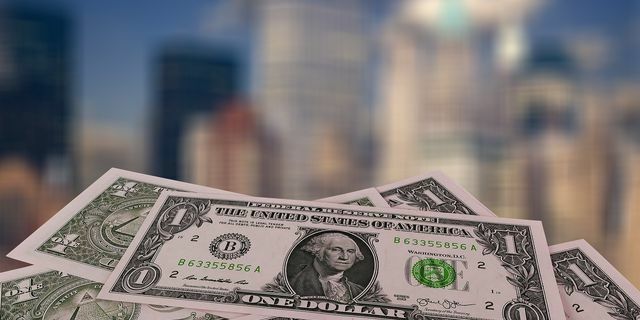 For recent week the foreign exchange market has been whipsawed because investors attempted to come to terms with an array of issues from Brexit to decelerating global surge and the outlook for key major financial institutions. Nervousness around global surge as well as trade clashes - these are the factors powering the financial markets now, as some analysts explained. The International Monetary Fund had its 2019 and also 2020 global surge estimates trimmed, explaining that move by a greater-than-forecast deceleration in the Eurozone and China. The organization also stressed that the inability to resolve trade clashes could further impact a decelerating global economy. The previous year’s surge in China turned out to be the slowest since 1990. What’s more, it’s braced for weakening further in 2019 before stimulus measures start kicking in. 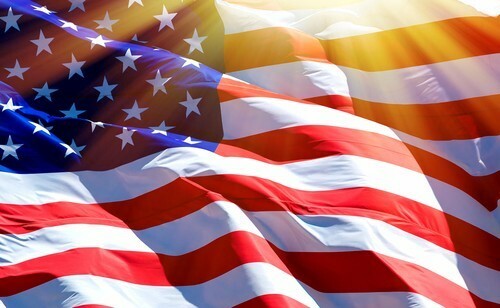 Market participants are hoping for a significant progress in US-China trade negotiations, with the tariff conflict between the world’s leading economies already affecting financial markets as well as global demand. A report by the Financial Times that America had rejected the Asian country’s proposal for preparatory trade negotiations impacted risk sentiment overnight. However, later it was debunked by a White House adviser. Tuesday happened to be the most volatile day for Bitcoin this week, as the cryptocurrency fell below the $3,500 level, but managed to rebound quickly to the levels near $3,600. 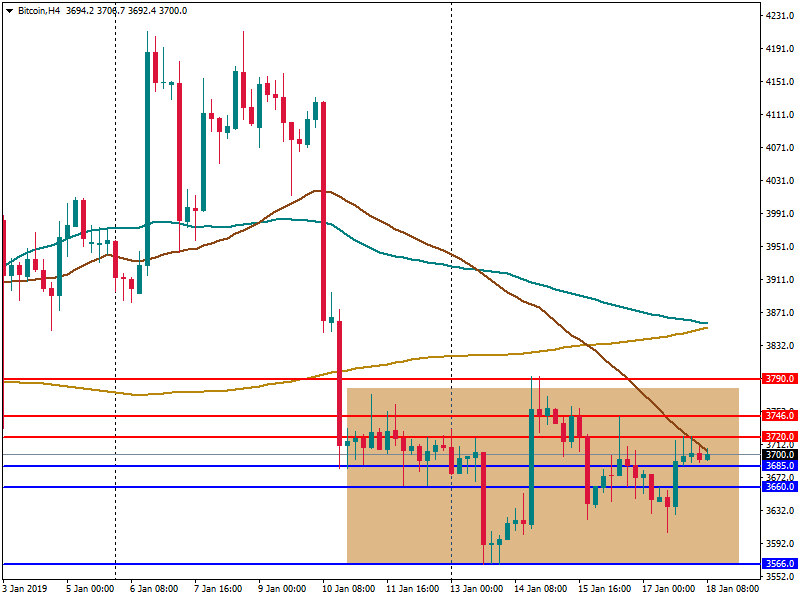 On the H4 chart, we can see that the grandfather of cryptocurrencies has been trading within the $3,586-3,642 range for the last three days. The rebounds from these levels may be used to open positions. For now, Bitcoin has already tested the ground below the support at $3,586. 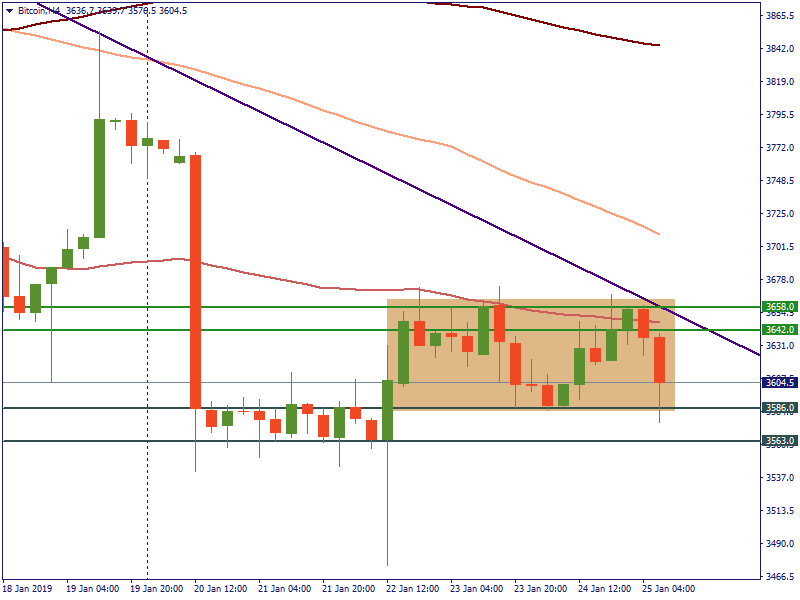 If this level is broken, the next support lies at $3,563. In case bulls get stronger, they may push its price above the resistance at $3,642. The next resistance is placed at $3,658. However, the overall picture of the market and the trend are still bearish. That is why we may expect further falls. Chicago exchange CBOE has canceled its request to approve VanEck and SolidX Bitcoin ETF (exchange-traded funds) due to the current government shutdown. It plans to ask for the approval again when the Security exchange commission starts to work. Cryptocurrency bank Galaxy Digital plans to invest $250 million to issue credits to blockchain companies, which struggle with the bear market. The candidate for the US president post, a huge supporter of crypto and the founder of the famous antivirus software John McAfee left the country after he was indicted on charges of tax fraud. The market anticipates the presentation of the TON blockchain network and GRAM token by Pavel Durov during the World Economic Forum this week. 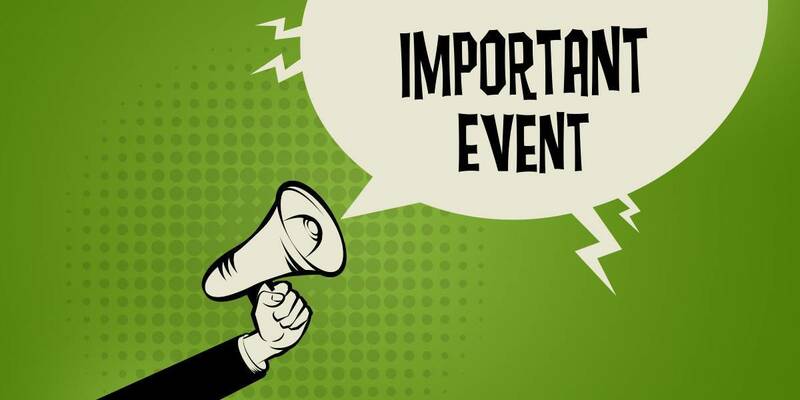 This is a highly important event, which may affect the market positively. According to the news, TON will be launched in March. The “World Economic and Social Survey 2018” report by the United Nations said cryptocurrencies and blockchain allow to switch their confidence from banks and governments to program codes. Chili and Romania plan to apply taxes on crypto operations’ income. The United Arab Emirates and Saudi Arabia develop a cryptocurrency for payments between banks or governments. The Federal Reserve and the FOMC will make the monetary policy statement and announce the official rate on January 30 at 21:00 MT time. There is no chance that the Fed will raise its current 2.5% interest rate. In addition, the recent dovish comments by the FOMC members and the Fed Chair Jerome Powell signaled the pause in rate hikes if the US economy weakened. In case the monetary policy statement contains some positive data, the USD will get positive momentum. • If the FOMC statement is hawkish, the USD will rise. • If the FOMC statement is dovish, the USD will fall. 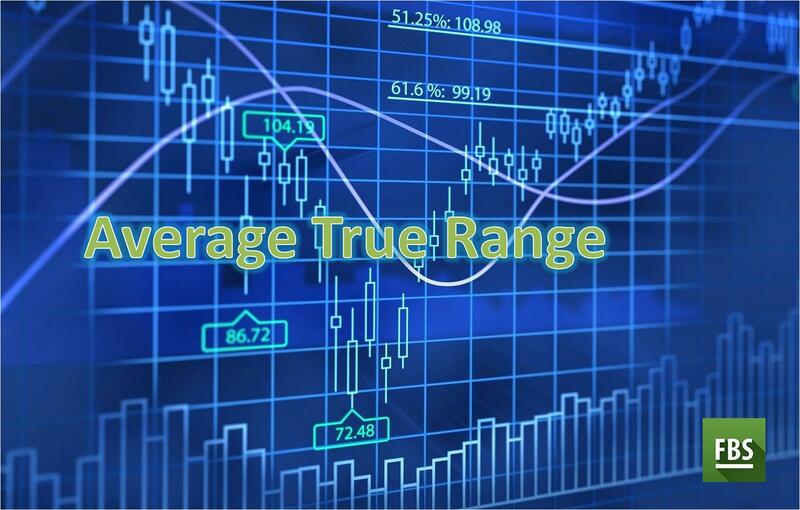 Average True Range (ATR) is an indicator of market’s volatility. In other words, it helps to determine the average size of the daily trading range. ATR rises when trading is more volatile (price bars are long) and falls during periods of low volatility (price bars are short). Use ATR to determine the best position for Stop orders. Imagine that you trade your favorite currency pair in the long-lasted bear market. Suddenly, the price has started to go up. However, don’t get confused too quickly. There is a possibility that you faced with a so-called dead cat bounce. Wait, don’t be scared, FBS carries about animals and the environment! This is just the name of the short-term retracements. But they may actually be “deadly” for you, especially if you do not know how to trade during this situation and how to divide such bounce from the actual reversal. 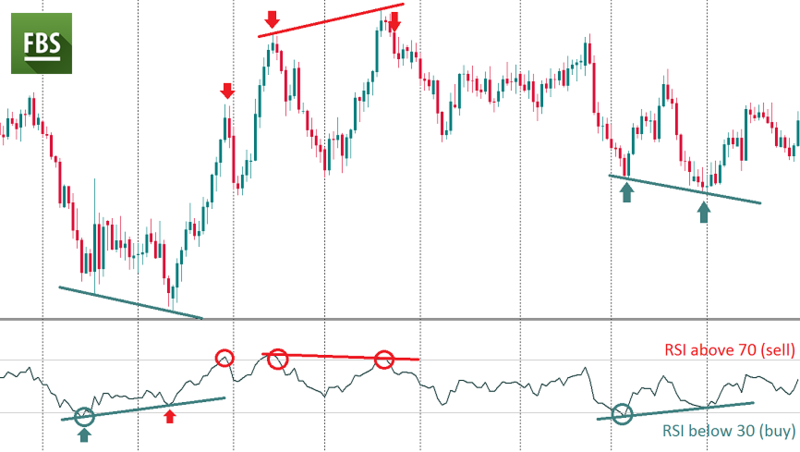 In the article, we provide you the explanation of the dead cat bounce and the trading strategy, which may be used to trade during this kind of reversal. Reserve bank of Australia rate statement (Tue, 05:30 MT (03:30 GMT) time) – The rate hike is not expected, but the RBA may change its tone due to the global uncertainties. Any hints on future changes in rates may impact the AUD. New Zealand’s jobs data (Wed, 23:45 MT (21:45 GMT) time) – The level of employment change is expected to rise by 0.3%. At the same time, the unemployment rate for the last quarter reached 4.1% according to analysts. Will the actual data support the NZD? Let’s wait for Wednesday. Speech by the Fed Chair Jerome Powell (Thu, 02:00 MT (00:00 GMT) time) – The Fed Chair Jerome Powell made some cautious comments on the future monetary policy during the previous meeting. His comments made the USD suffer. Will he sound more optimistic about the global picture this time, after the second round of trade negotiations successfully over? 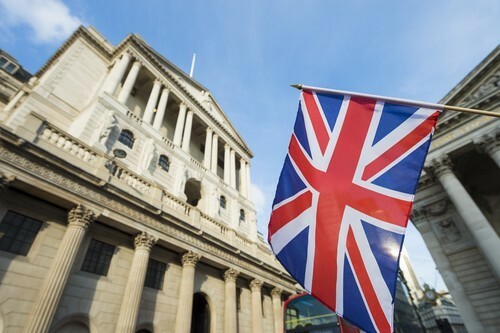 Monetary policy summary by the Bank of England (Thu, 14:00 MT (12:00 GMT) time) – The bank of England will not raise its interest rate, but the BOE may provide some support to the GBP amid the Brexit uncertainties. Canadian jobs data (Fri, 15:30 MT (13:30 GMT) time) – Last time the actual figures outperformed the forecasts, which made the CAD move higher. The projections for this month have not been announced yet. If the situation repeats itself, the CAD will rise. Traders keep their eyes on the Brexit progress. On Monday, Theresa May will meet with an Alternative Arrangements group. This group unites three hardline Brexiteers, who will start to find a solution to the Nothern Ireland backstop. The positive progress will support the British pound. Asian markets, including China, Hong Kong, Singapore, Taiwan, South Korea, Malaysia, and Vietnam, will close for the whole week due to the start of the year of the Pig. 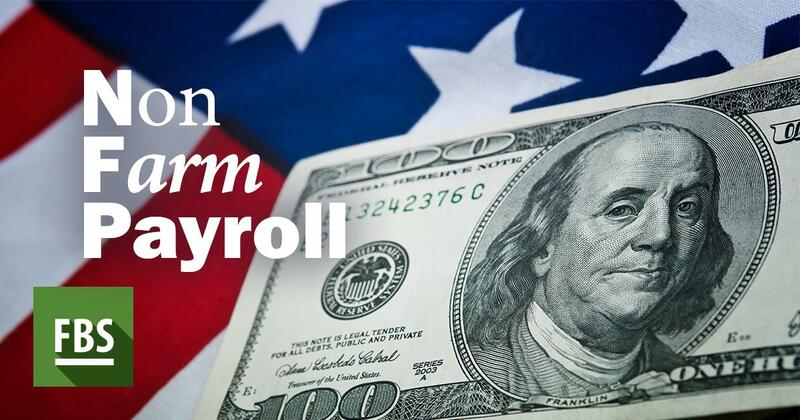 The level of non-farm employment change, also known as the non-farm payrolls or the NFP is one of the most high-valued indicators in the economic calendar. Traders and investors give it the same level of importance as to the monetary policy meetings and speeches by the heads of the central banks. This indicator makes the market very volatile, and you can create a profitable strategy based on it. FBS analysts will explain to you what strategy is more suitable for trading NFP. Will the Bank of England make the GBP stronger? The bank will hold its interest rate unchanged at 0.75%. We anticipate the Bank of England to provide the comments on the possible rate hikes in 2019. Last time, the BOE mentioned the Brexit uncertainty as the key problem for the UK economy and lowered the economic growth and CPI projections for the fourth quarter of 2018. As a result, the GBP fell. Let’s see if this time the central bank succeeds to support the British currency. • If the BOE is unconfident, the GBP will fall. Canada’s jobs data is expected on February 8, at 15:30 MT time. The employment indicators are very important, as they show the level of consumer spending in the country. Last time the actual figures supported the CAD. In particular, the level of employment change reached 9.3 thousand jobs (vs. the forecast of 6.8 thousand) and the unemployment rate fell to 5.6% (vs. the forecast of 5.7%). If this time the situation repeats itself, the CAD will be stronger. • If the employment change is lower and the unemployment rate is higher than the forecasts, the CAD will fall down. In China, new bank loans tacked on to a one-year maximum in the first month of this year, as a Reuters survey disclosed. It became possible due to the fact that the Chinese cabinet kept spurring commercial lenders to extend more credit to cash-strapped businesses in a decelerating economy. In January, Chinese financial institutions were anticipated to have extended up to 2.8 trillion Yuan in net new loans, which is more than December’s outcome of 1.08 trillion Yuan. It would be the highest outcome since the record result of 2.9 trillion Yuan demonstrated in January 2018. 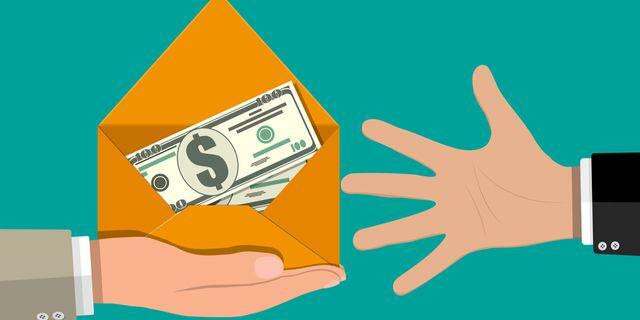 For the entire 2018, the Asian country’s financial institutions extended a record 16.17 trillion Yuan in new loans after the major financial institution on four occasions in 2018 reduced the amount of cash that they needed to keep as reserves. However, it didn’t stop the world’s number two economy from soaring at the weakest tempo since 1990. Market experts told that a faster tempo of credit expansion is required to keep the American economy from decelerating too fast. In January, the country’s major bank cut the reserve requirement ratio for financial institutions by 100 basis points, thus stimulating them to lend more. Market experts expect a further 150 bps dive by year-end. At the end of 2018, China’s major bank has also deployed fresh tools, including the Targeted Medium-Term Lending Facility. The measure is expected to provide longer-term liquidity for financial institutions to back loan surge. However, China isn’t anticipated to flood the national financial system with credit at once. Instead, the major bank will stick to its line on keeping policy neither too loose not too tight. Previously, some sources revealed that the PBOC urged some financial institutions to moderate their tempo of lending last month. Key indicators and hot news for this week. New Zealand’s monetary policy statement and press conference (Wed, 3:00 and 4:00 MT (1:00 and 2:00 GMT) time) – The rate hike is not going to happen, but the tone of the statement, as well as the comments by the RBNZ governor Adrian Orr during the press conference, may provide additional volatility to the NZD. Brexit remains one of the key uncertainties for the market and for the British pound in particular. The next Brexit debates at the Parliament are scheduled for February 14. During this meeting, the British Prime Minister Theresa May is expected to announce the results of her negotiations with the EU. However, May’s attempts to make changes to the current deal were rejected by the President of the European Commission Jean-Claude Juncker last week. That is why this meeting won’t be final in the long-lasting Brexit drama. Reportedly, the next vote on Theresa May’s deal is likely to happen no earlier than on February 25-27. As the final deadline for Britain’s divorce with the EU comes closer, Theresa May wrote a letter to the Labor opposition leader Jeremy Corbyn suggesting a discussion between the parties to consider “alternative arrangements” to the Irish backstop. If her negotiations are successful, this may bring support to the British pound. Also, the US government may be shut down again, if the officials do not reach an agreement on Trump’s demand for funding the wall between the US and Mexico until February 15. If it happens, the USD will be affected. 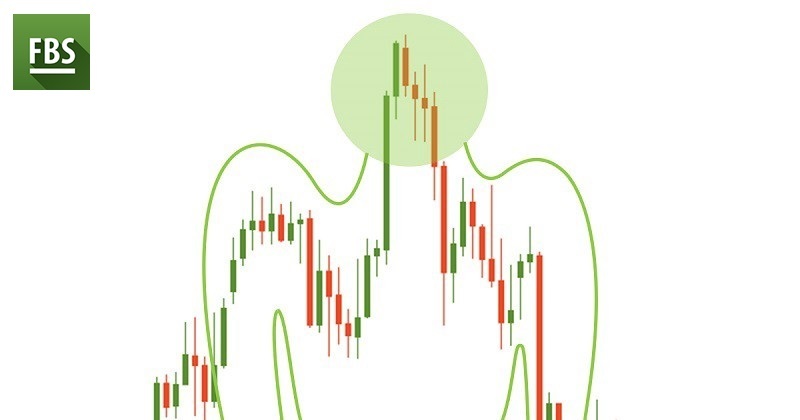 Trading strategy for the Head and Shoulders pattern. In technical analysis, there are different chart patterns which help you to determine the further direction for the price. In the broadest sense, all of these patterns are divided into the two large groups: reversal and continuation chart patterns. You can learn how to define them in our Forex Guidebook. Today, we will present you the trading strategy for one of the most commonly known patterns. Of course, we are talking about the Head and shoulders pattern.